It's the height of World War II. Michael O'Shaunessey, son of the Irish ambassador to Nazi Germany, lives with his family in Berlin. But Michael, like his parents, is a spy. He joins the Hitler Youth, taking part in their horrific games and book-burning, despising everything they stand for but using his insider knowledge to bring important information back to his parents and the British Secret Service. 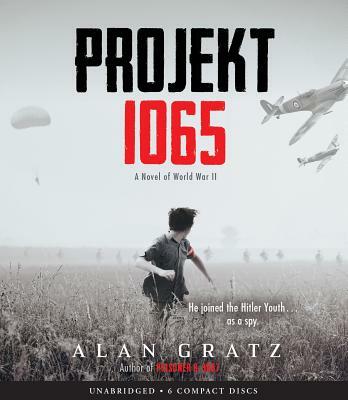 When Michael is tasked to find out more about Projekt 1065, a secret Nazi mission, things get even more complicated. He must prove his loyalty to the Hitler Youth at all costs -- even if it means risking the lives of his family... and himself. Acclaimed author Alan Gratz delivers a heart-pounding, action-packed tale of political intrigue, betrayal, and survival.